The PRIVILEGE movement first started out in 2010. The brand name was given by our good friend and brand ambassador DJ Clark Kent. The PRIVILEGE brand is exclusive to its stores & websites worldwide. 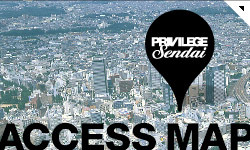 We propose a marketplace for people to get information and experience the culture of the PRIVILEGE movement. We want all those to experience the brand, products, culture, style, music, and fashion.